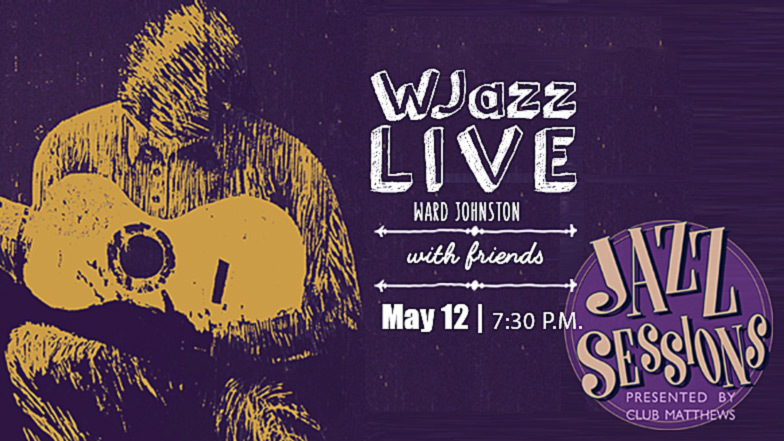 Prepare to be entertained while learning more about the history of jazz and where it is going today. Drawing on his traditional jazz roots of renowned jazz greats, Wes Montgomery, Dave Brubeck, and Horace Silver, Ward is focused on where this uniquely American art form is headed. He blends traditional ideas with contemporary sounds, creating and building on what has come before. Using influences of modern day hip hop, pop, and rock, Ward finds a new path forward for contemporary jazz. Johnston will be solo, using a ‘looper’ to turn himself into a full band. Johnston is an accomplished Jazz musician and educator originally from Colorado Springs, Colorado. He attended Berklee School of Music and Denver University for a degree in Jazz Guitar Performance. He also received a masters from Northern Arizona University in Music Education. He has performed professionally for 18 years in various contexts from Jazz duos to a featured soloist with the NAU symphony. In recent years his focus has been composition. Recent performances feature his original music and how he uses the past to inform the future. Ward is passionate about moving jazz forward and educating youth to the power of music. Ward recently relocated to Spearfish and teaches music in Moorcroft, WY. His wish is that every student understands that music can help cope with hard times and is a wonderful life companion. He is proud to announce a new teaching position as director of bands and choir at Sundance High School in the upcoming school year. 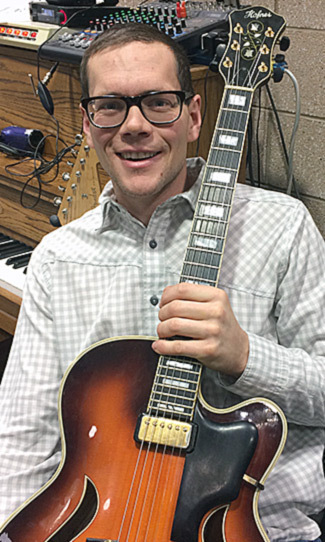 Spearfish musician, Chris Hahn, currently directs the Jazz Ensemble and the Dakota Chamber Orchestra at BHSU. He also teaches brass, music history, and American and World music classes. Hahn is in demand as a trumpet player in many area groups, ranging from orchestras, jazz bands, to polka bands. David is percussion instructor and Director of Bands at Black Hills State University. He performs with his students and colleagues regularly and appears periodically with local acts such as the Green Dolphin Trio. Berberick maintains an active studio at BHSU, serving members of both the collegiate and surrounding community. Primarily a tuba player, Joel started playing bass back in high school in order to be in the jazz band. He attended the University of Minnesota, Morris, where he majored in music and played in numerous big bands and combos. He continued on with music education with a masters from Southern Illinois University, Carbondale. Joel has lived in Spearfish for 9 years and has played in various local bands around the hills on both bass and tuba. Professor emeritus at the University of Wyoming, Rod enjoys blending the sounds of many different flutes and flute-like instruments with the lively sounds around him in a wide variety of ensembles. He toured internationally as a member of the Denver-based Celtic ensemble, Colcannon, for over 20 years, and has since continued to develop his passion for flutes of all kinds. Garnett is a Wyoming Governor’s Arts Award winner and has worked to develop community-based music events in Laramie and throughout Wyoming. He recently moved to Spearfish with his wife Sandy. VIDEO: “New Christian Music”– A Tribute to Christian Scott. This entry was posted	on Thursday, May 4th, 2017 at 3:45 pm	and is filed under Live Entertainment, News & Blog, Past Live Shows. You can follow any responses to this entry through the RSS 2.0 feed. Both comments and pings are currently closed.